The Romans wrote longer works on papyrus. They produced papyrus in individual sheets or as scrolls. Even then, they called the more extensive contents of such a scroll a book. In Rome at the time, there were already “companies,” essentially predecessors of publishers, which produced copies of important or popular works by copying texts onto papyrus scrolls. The cost of the papyrus depended on the format and quality of the ancient material. Papyrus derived from the plant of the same name could only be lettered on one side. To write on papyrus paper, the Romans used hollow quills, bones, or even quills made of bronze. They created ink made of iron oxide. Goose feathers as a writing utensil, by the way, have only been found by archaeologists starting in the 4th century AD. Where does papyrus come from? Papyrus thickets grow in Egypt. Papyrus plants are made up of individual reeds with umbels, and its name is derived from the meaning “green, fresh, flourish.” The Latin word papyrus stems from the Greek word pápyros, and thus also resulted in the German word “Papier”! In ancient Egypt, the first papyri had probably been produced for writing purposes since the 3rd millennium BC. 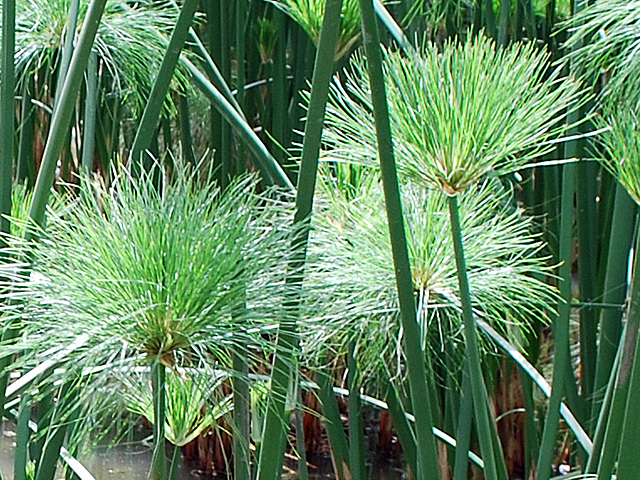 The cyperus papyrus provides the raw material, a sedge species that can grow up to three meters tall. In the 13th book of his Natural History in the 1st century AD, Plinius the Elder describes the production of papyrus as a writing material: the marrow of the plant stalk is cut into strips up to four centimeters wide and laid on top of one another with a slight overlap. Two perpendicular layers of these strips are pressed and pounded together to a solid sheet and held together by the starchy plant juice. 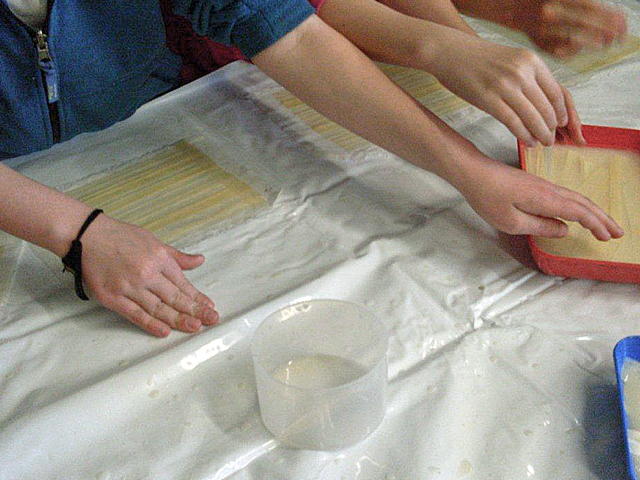 Then the “sheet” is dried. After this, the papyrus can be used for writing or drawing. With a special glue, the recipe is recorded by Plinius, the sheets are satinized and glued into scrolls with the fibers running in the same direction. 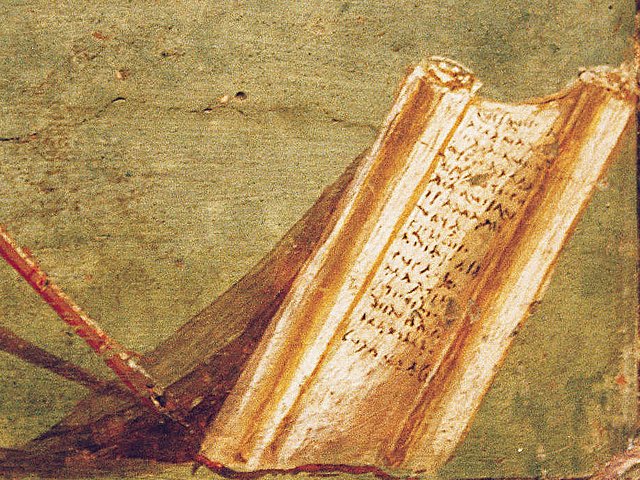 The width of the scrolls, which were used for Greek and Latin literary texts, is on average 20 to 25 centimeters. Plinius describes six different qualities of papyrus: from the fine hieratica (“holy”) or Augusta (“imperial”) to the rough emporitica (packing paper). Later, the name papyrus was transferred to paper discovered in China. Starting at the end of the 14th century, the paper was also used as writing material in Europe.